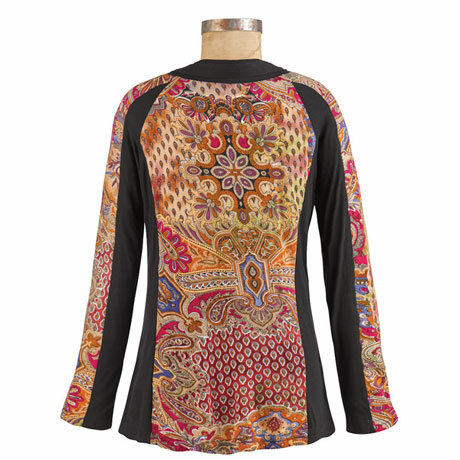 Two seams slim your look in this stylish top: cut slightly shorter, it'll hit above the thigh to lengthen your legs, plus the black side panels create a trimmed-down middle. 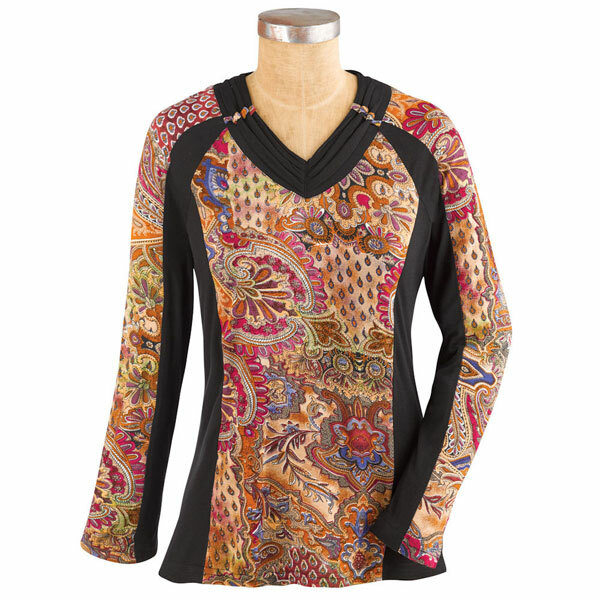 Marvelously detailed paisley tapestry printing on the front and the back; pintucked V-neckline and long raglan sleeves. Machine wash. Rayon/polyester/spandex blend. Imported. S(6-8), M(10-12), L(14-16), XL(18), 1X(18W-20W), 2X(22W-24W), 3X(26W); 25"L.
*Please note this listing has been updated to reflect the shorter version of this shirt. We apologize for the inconvenience.